No bones about it, diamonds are about to be replaced by, you guessed it, bones, bones, and more bones! 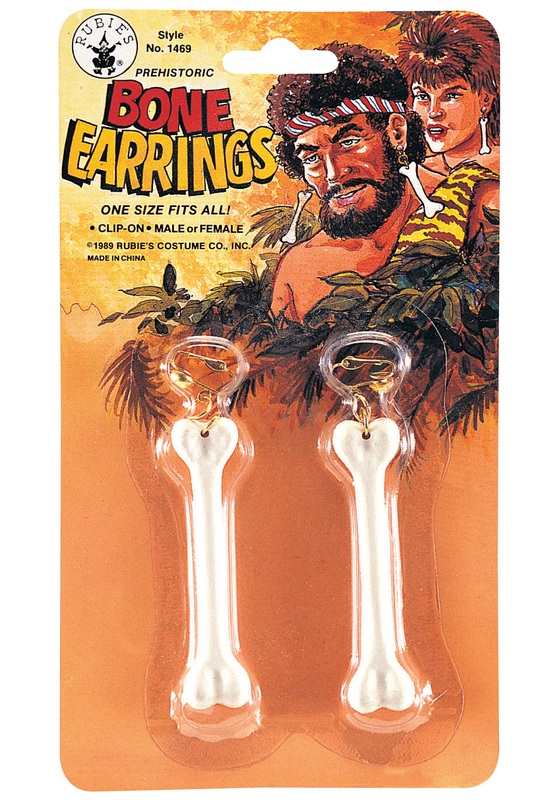 Add some prehistoric bling bling to your costume with a pair of these Bone Earrings. These earrings are the perfect way to spice up any prehistoric costume. Since these earrings are clip ons, you don’t have to have your ears pierced. They say no pain no gain, but that is simply not true. With these stone age earrings, it is all gain and zero pain! Whether you want to be a caveman or cavewoman, this is the accessory for you. They can be paired with other bone accessories, such as a bone necklace, bone bracelet, and even a jumbo cave bone weapon. Wear your earrings with as much confidence as the woolly mammoths who walked around this earth with had!